This is actually news, not opinion. An interesting piece was released today showing specific details and answering a generation old question: Why do games cost $60 these days? Here is an internesting piece from the LA Times. Another way to look at it is to say publishers such as Activision and Electronic Arts receive $45 after retailers take a $15 cut. Publishers turn around and pay a $7 licensing fee to console manufacturers such as Microsoft, Sony and Nintendo. The cost of making, packaging and shipping game discs to stores carves up another $4. 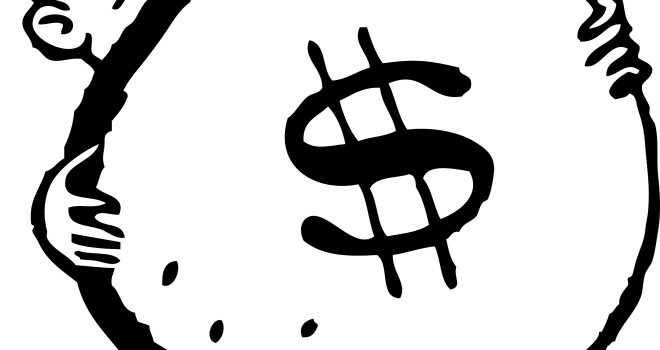 Finally, not all games sell, so the expense of returning unsold inventory eats up another $7. 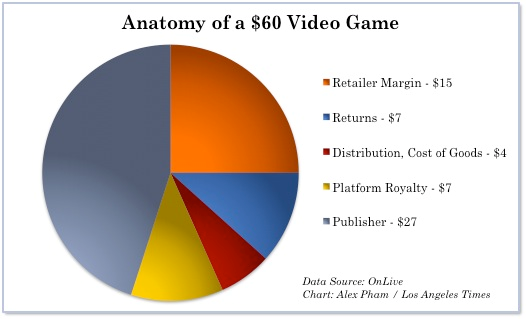 That leaves publishers with about $27 per disc sold for development, marketing and other expenses. These are, of course, back-of-the-envelope averages. Each of these numbers can vary. For instance, a publisher could negotiate a smaller licensing fee with console manufacturers. And by deploying the Goldilocks method of inventory (not too much, not too little), they can also minimize returns. Tinkering with the margins in these ways lets companies tune their bottom lines. So why do we pay 60 dollars for digital then? The price should be about 34 if all that other stuff was cut out. The reasons I can think of are A. pressure from retailers and B. they get away with it.